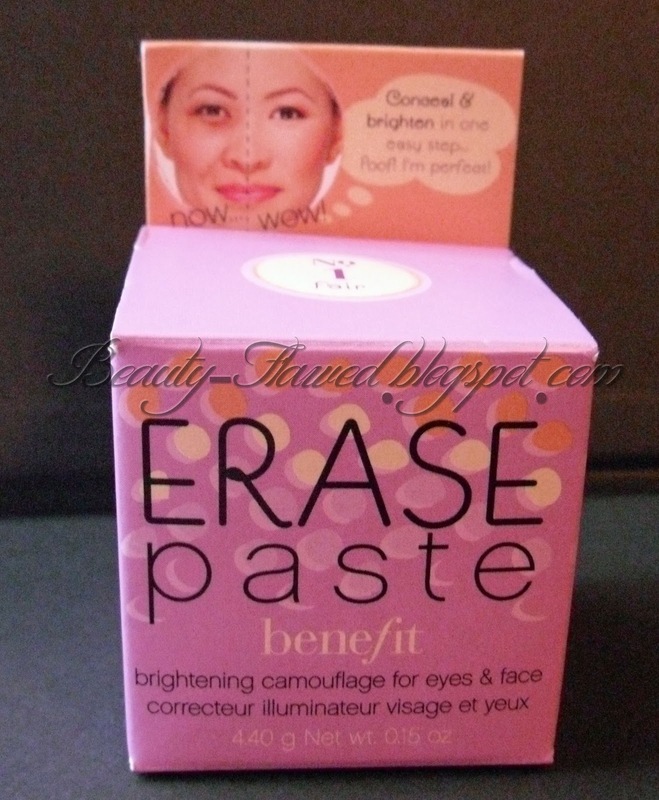 Erase Paste by Benefit is a concealer that also helps brighten at the same time. You see I have under eye circles that I find are getting darker every time I look in the mirror and scrutinize them so I did a little research and picked up Erase Paste in Fair to give it a whirl and so far so good. It really helps tone down the dark circles and make me look less like a zombie. 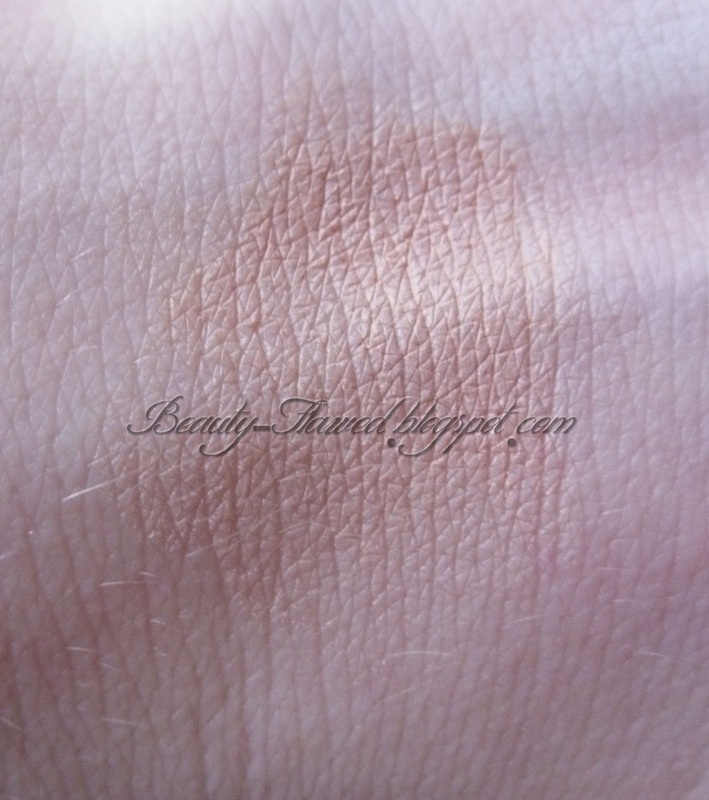 Its very creamy in consistency and easy to blend. 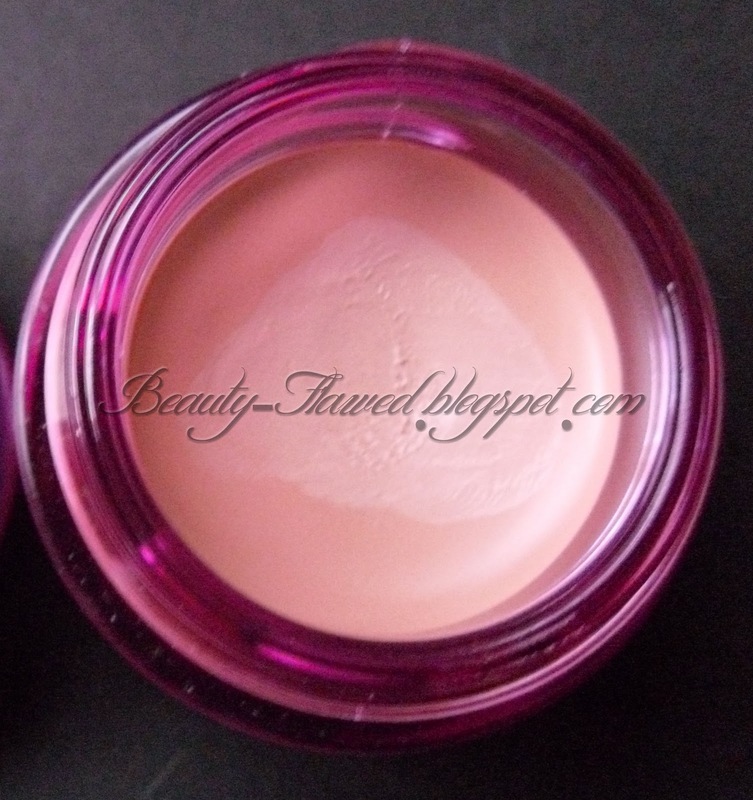 I also like that it lasts until I take it of and doesn't look runny or oily through out the day. A little of this product goes a long way the first time I used it I went a little overboard and it felt heavy and looked cakey around my eyes. I blame the plastic scoop thing for my over use of the product :) The scoop is quite odd and while I see the benefit of using a scoop for hygienic reasons they could have really made it better and not as hard. 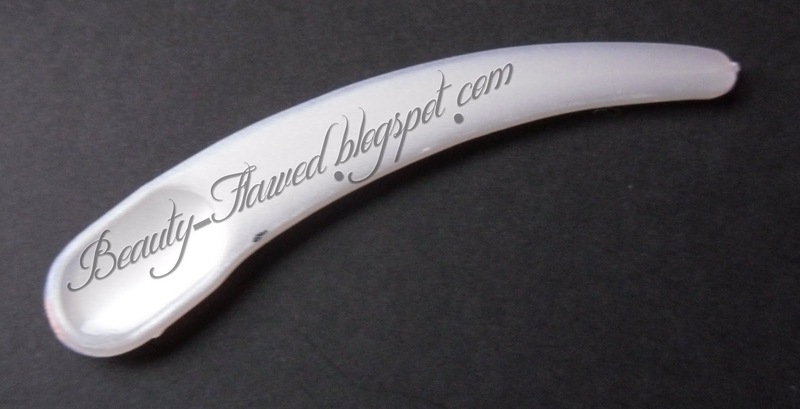 It's awkward to use because of its curved shape and picks up more product than you need. Once I figured out how much I actually needed I haven't had any issues with it looking cakey. I picked up the color fair because I'm as white as paper and I do find that I have to blend it in well or my skin will look slightly off in color. This product is only available in three shades but it would be nice if they added more of a range of colors. Overall I like this and I would buy it again, this retails for $26 dollars and that is a bit on the pricey side but I think this product is going to last awhile so in the long run its not so bad especially if it keeps the dark circles at bay! Sounds interesting - erase paste - good name. Great review.. I have been wanting to try this for the longest time.I think I will give it a try. Thanks let me know what you think when you get a chance to try it! I have erase paste in medium. It covers my undereye purpleness well. Im with you on the cakey part. A little of this goes a long way for sure. The color I have is to dark for me now but in the summer it should be fine. Yeah I find the colors need a bit of work even tho they are more neutral they don't seem to be light enough or dark enough for all skin tones in all seasons. I feel like it would crease on my under eye circles, I haven't been successful in stopping that from happening, especially the really creamy products.